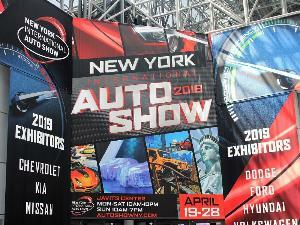 The Los Angeles Auto Show, open to the public this year from Friday, November 30 to Sunday, December 9, 2018, features all the latest and greatest from the world of cars. It doesn’t matter if you’re looking for the perfect SUV to carry the family or a sports car to take out on the track. There’s a lot to see, but where do you start? Here are the must-see cars at this year’s LA Auto Show. 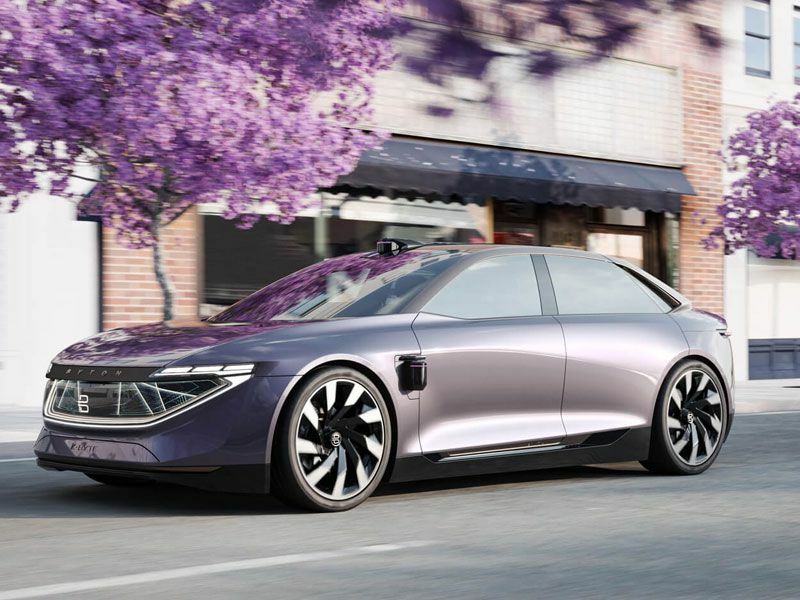 The Audi e-tron GT Concept is an all-new electric concept vehicle combining sports car performance with a luxurious interior. Although only a concept today, Audi will use the e-tron GT as the framework for a production version that will be available in two years. What changed? The Audi e-tron GT Concept is an all-new concept car. When is it available? Production version in 2021. How much? To be announced. The first-ever BMW 8 Series Convertible is a soft-top four-seater. It has a 4.4-liter turbocharged 8-cylinder engine with 523 horsepower and 553 lb-ft of torque. This performance convertible has a top speed of 155 mph and will do 0-60 mph in 3.8 seconds. What changed? The 2019 BMW 8 Series Convertible is all-new. When is it available? March 2019. The BMW Vision iNEXT Concept is a fully-electric vehicle that showcases the latest in BMW technology. 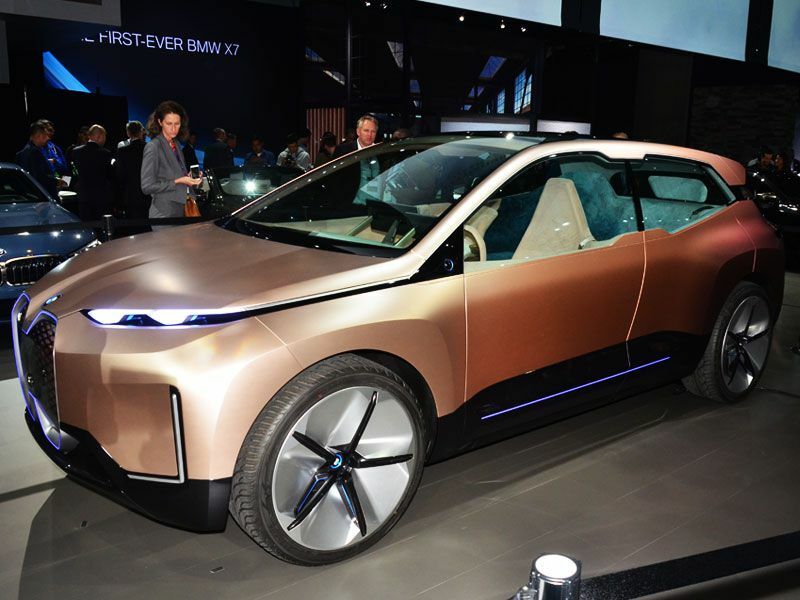 Similar in size to production BMW SUVs, it puts the spotlight on the future of autonomous mobility, connectivity, and design. What changed? The Vision iNEXT Concept is a concept car. When is it available? Not for sale - a production version is coming in 2021. The 2020 BMW M340i sedan enters its seventh generation with a 3.0-liter turbocharged inline 6-cylinder engine with 382 horsepower and 369 lb-ft of torque. This is paired to an 8-speed automatic transmission with launch control and will propel the M340i from 0-60 mph in just 4.2 seconds. What changed? The 2020 BMW M340i is all-new. When is it available? Summer 2019. The 2019 BMW X5 has an upgraded interior with four-zone climate control and a 12.3-inch touchscreen infotainment system dominating the dashboard. 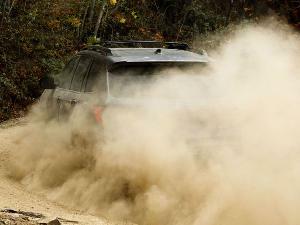 Two gas engines will be available with up to 446 horsepower. Available safety features include lane-keeping assist, traffic jam assistant, and new emergency stop assistant. What changed? The X5 is an all-new model for 2019. When is it available? Now. The 2019 BMW X7 is an all-new SUV with three rows of seating and room for up to seven passengers or six passengers with optional second-row captain’s chairs. It will be available with either a 3.0-liter V6 or more powerful 4.4-liter V8 with standard two-axle air suspension for a smooth ride. What changed? The 2019 BMW X7 is an all-new model. 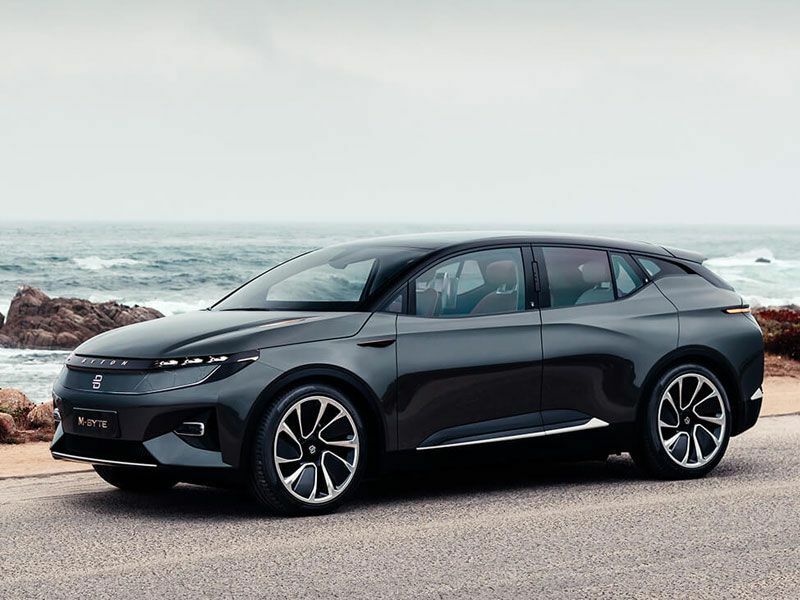 The Byton K-Byte is an all-electric sedan that combines the latest electric-vehicle technology with the latest autonomous technology. Several battery options will be available with a range of up to 350 miles. This is the second of three vehicles coming from the Byton brand. What changed? The Byton K-Byte is all-new. When is it available? Sometime in 2021. The Byton M-Byte is an all-electric SUV with a range of up to 325 miles, depending on the battery selected. The interior features a screen that spans the entire length of the dashboard and, completing its futuristic vibe, the M-Byte will have Level 3 self-driving technologies. What changed? The Byton M-Byte is an all-new model. When is it available? Sometime in 2020. The 2019 Honda Passport is an all-new 5-passenger SUV that fits right between the smaller CR-V and larger Pilot. Powered by a 280-horspower V6 engine, the Passport provides a comfortable, roomy space for passengers along with the capability to handle off-road adventures. What changed? The Passport is all-new for 2019. When is it available? To be announced. The 2020 Hyundai Palisade is a 3-row SUV with room for eight passengers and an upscale interior. Powered by a 3.8-liter V6 engine with an estimated 291 horsepower, the Palisade has a roomy interior and is the largest SUV in Hyundai's lineup. What changed? The 2020 Hyundai Palisade is an all-new model. 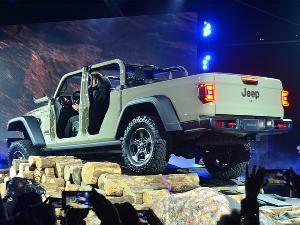 The highly-anticipated 2020 Jeep Gladiator is an all-new model that adds a midsize truck to the Jeep lineup. Available with a choice of gas or a late-arriving diesel engine, the Gladiator will tow up to 7,650 pounds and has a 1,600-pound payload capacity. What changed? The 2020 Jeep Gladiator is all-new. The 2019 Kia Niro EV is a crossover powered by a 64-kWh battery and a 201-horsepower electric motor with 291 lb-ft of torque for an exhilarating drive. The battery charges quickly gaining roughly 100-miles of range in just 30 minutes at a DC fast charger. What changed? The 2019 Kia Niro EV is an all-new model. When is it available? Early 2019. The Kia Soul is all new for 2020 and in addition to the standard model, three more flavors will be available: a performance-driven GT Line, a rugged outdoorsy X Line and an all electric EV. Gas models get more horsepower while electric models get an improved battery that will reduce the need to charge. Every Soul also features Kia Drive Wise with advanced driver-assistance technologies. What changed? The 2020 Kia Soul is all-new. The 2019 Lexus LX Inspiration takes the idea of Lexus luxury to a new level with 21-inch black wheels, black grille, and dark chrome accents. Inside are unique white leather trims with heated and ventilated front seats, rear seat entertainment system, and a 16-speaker Mark Levinson sound system. What changed? The 2019 Lexus LX Inspiration is an all-new special edition. The 2020 Lincoln Aviator is an all-new three-row SUV with a choice of gas or hybrid powertrains and available all-wheel drive. With a luxurious interior, it's the little brother to the larger Navigator. Lincoln Co-Pilot 360 Plus is standard with new technologies including traffic jam assist, evasive steer assist, reverse brake assist, and active park assist. What changed? The 2019 Lincoln Aviator is an all-new model. The 2019 Mazda CX-5 sees the addition of the luxurious Signature trim to the lineup and gets a new engine. Power comes from a turbocharged 2.5-liter 4-cylinder with 250 horsepower and 310 lb-ft of torque paired to a 6-speed automatic transmission. What changed? The 2019 Mazda CX-5 gets a new turbocharged engine and expanded trim range. The 2019 Mazda Mazda3 will be available with five engines including a new diesel option. 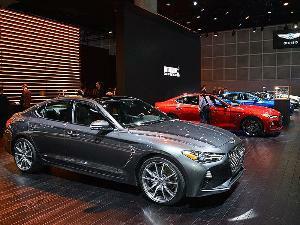 There’s still a choice of either a compact four-door sedan or sporty five-door hatchback. The Mazda3 now comes with the option for all-wheel drive. What changed? The 2019 Mazda Mazda3 is all-new. The 2019 Mercedes-Benz A-Class is a compact sedan with a comfortable and luxury interior along with exceptional driving dynamics. Power comes from a 2.0-liter turbocharged 4-cylinder with 188 horsepower and 221 lb-ft of torque paired to a 7-speed automatic transmission for an exhilarating drive. What changed? The 2019 Mercedes-Benz A-Class sedan is all-new. The 2020 Mercedes-Benz GLE crossover is powered by either a 2.0-liter turbocharged 4-cylinder with 255 horsepower or a 3.0-liter turbocharged V6 with 363 horsepower. It includes a choice of rear-wheel or all-wheel drive with available E-Active Body Control suspension for a smoother and more comfortable ride. What changed? The 2020 Mercedes-Benz GLE crossover is all-new. When is it available? Spring 2019. The 2019 MINI John Cooper Works Knights Edition features unique black and silver exterior accents with both factory and aftermarket accessories. These include Midnight Black paint with a Melting Silver roof, mirror caps, and hood stripe. What changed? The 2019 MINI John Cooper Works Knights Edition is an all-new model. When is it available? First Quarter 2019. The 2019 Nissan LEAF enters its second generation with 37 percent more power and an estimated range of 150 miles on a full charge. It also showcases advanced driver assistance technologies with ProPilot Assist and e-Pedal, which lets you accelerate, decelerate, and stop using only the accelerator pedal. What changed? The 2019 Nissan LEAF is all-new. 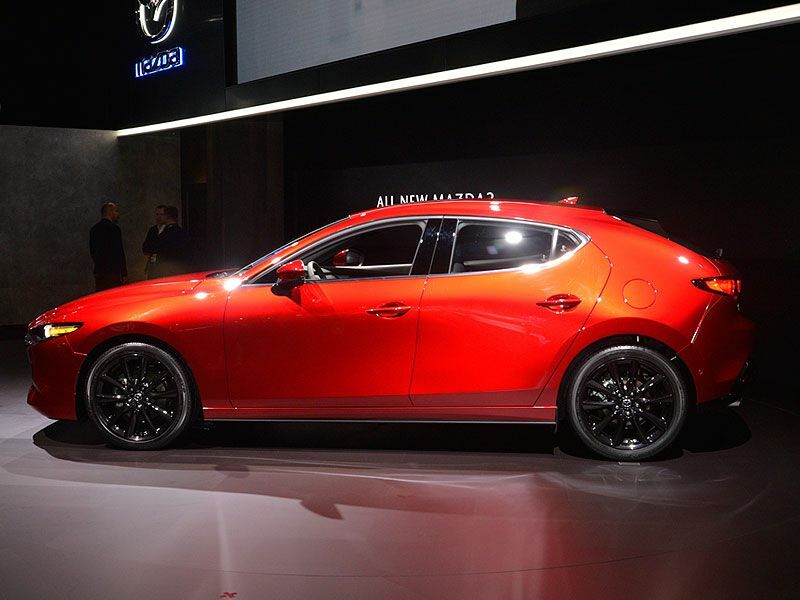 The 2019 Nissan Maxima flagship sedan shows off a refresh that includes updated styling inside and out along with available Nissan Safety Shield 360 driver-assist technologies. It also comes with a 300-horsepower 3.5-liter V6 and sport tuning for an exhilarating drive. What changed? The 2019 Nissan Maxima is refreshed for this model year. When is it available? December 2018. The 2019 Nissan Murano is refreshed this year with an updated look and a more luxurious interior. It includes expanded available safety features as a part of Nissan Safety Shield 360 and is powered by a 3.5-liter V6 engine with 260-horsepower. What changed? The 2019 Nissan Murano is refreshed for this model year. The 2020 Porsche 911 gets a bold design updated and a more powerful engine. Under the hood is a twin-turbocharged flat-six with up to 443 horsepower in S models. This is paired to an 8-speed automatic transmission with a manual available at a later date. What changed? The 2020 Porsche 911 is all-new. The 2019 Porsche Macan gets an updated design with standard LED head and taillights for a sportier look. Power comes from a 2.0-liter turbocharged inline 4-cylinder with 248 horsepower and 273 lb-ft of torque. It can make the sprint from 0-60 mph in 6.3 seconds. What changed? The 2019 Porsche Macan has been fully updated this year. The 2019 Porsche Panamera GTS comes with a new 4.0-liter twin turbocharged V8 with 453 horsepower and 457 lb-ft of torque. This is paired to an 8-speed dual-clutch automatic transmission with standard all-wheel drive. The Panamera GTS goes from 0-60 mph in 3.9 seconds. What changed? The 2019 Porsche Panamera GTS is an all-new model. The Rivian R1T is an all-new electric pickup truck concept with a 180-kWh battery that provides a range of over 400 miles. The R1T gets an 80 percent charge in just 50 minutes and does 0-60 mph in a quick 3 seconds. It also has a tow rating of 11,000 pounds. What changed? The Rivian R1T is a pre-production concept. When is it available? Production models expected to arrive in late 2020. The Rivian R1S is an all-electric three-row SUV concept with room for seven passengers. It boasts a range of up to 400 miles with a 0-60 mph time of only 3 seconds and a top speed of 125 mph. All-wheel drive is standard, and it can ford up to 3 feet of water. What changed? The Rivian R1S is a pre-production concept. When is it available? Production models are expected to arrive in 2020. The 2019 Subaru Crosstrek Hybrid is the first-ever plug-in hybrid from Subaru. It comes standard with all-wheel drive and gets up to 90 mpge with a 480-mile total range. It can operate at speeds up to 65 mph in full electric mode. What changed? The 2019 Subaru Crosstrek Hybrid is all-new. When is it available? End of 2018. The first-ever 2020 Toyota Avalon TRD features a track-tuned chassis, sporty dual exhaust, and exclusive matte black 19-inch alloy wheels. Under the hood is a 3.5-liter V6 with 301 horsepower paired to an 8-speed automatic transmission. It also gets a unique TRD interior and will have limited availability. What changed? The 2020 Toyota Avalon TRD is all-new. When is it available? Fall 2019. The first-ever Toyota Camry TRD will have limited availability. It features a 301-horsepower V6 engine paired to an 8-speed automatic transmission with a track-tuned suspension system. There’s a unique gloss black front grille with sport mesh inserts while the TRD-inspired interior includes sport seats with red accents. What changed? The 2020 Toyota Camry TRD is all-new. 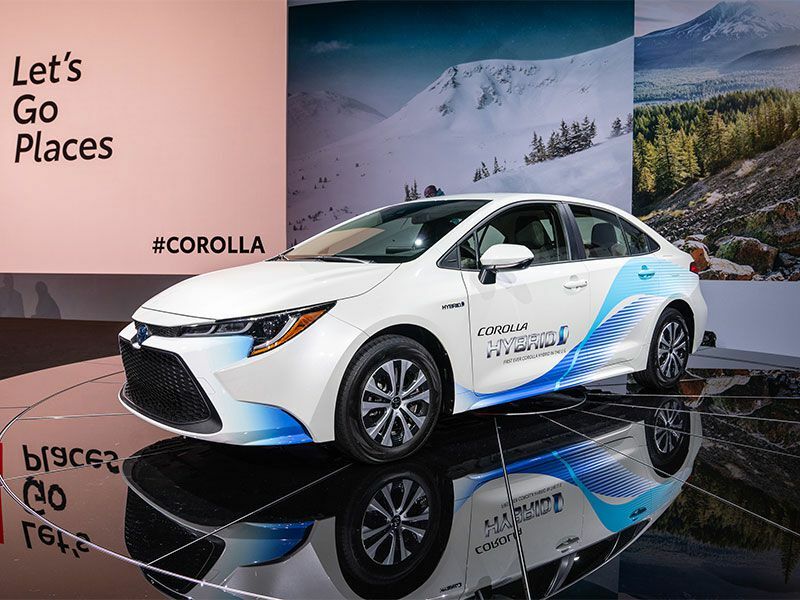 The first-ever Toyota Corolla Hybrid in the U.S. features the latest Toyota Hybrid Synergy Drive from the new-generation Prius. It’s projected to achieve 50+ mpg combined and will include standard Toyota Safety Sense 2.0. Also standard is Entune 3.0 audio with Wi-Fi Connect, Amazon Alexa, and Apple CarPlay. What changed? The 2020 Toyota Corolla Hybrid is an all-new model. The 2019 Toyota Prius debuts the addition of available all-wheel drive technology. 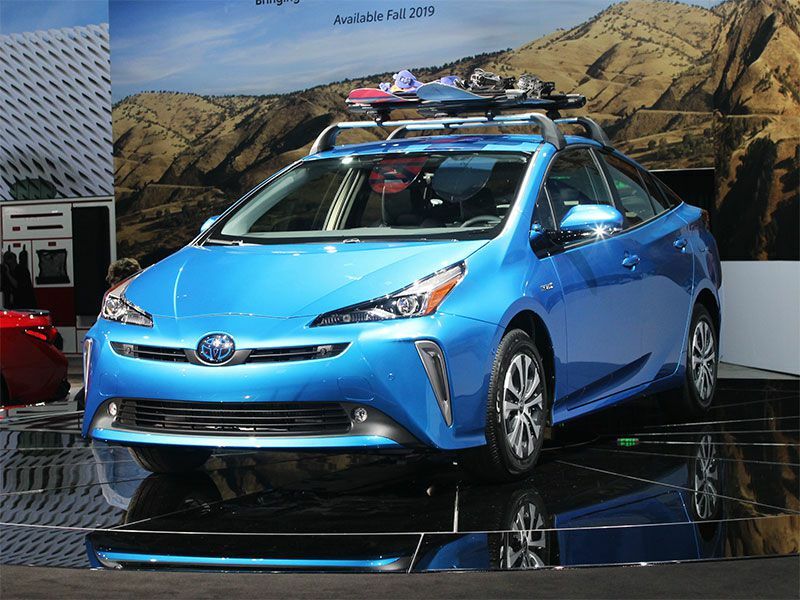 This will make the Prius one of the most fuel-efficient all-wheel drive vehicles on the road today with a Toyota-estimated 52 mpg in the city, 48 mpg on the highway, and 50 mpg combined. What changed? The 2019 Toyota Prius now features available all-wheel drive.